Rihanna has revealed that she would love to work with producer Mark Ronson. The singer has said that she has been trying to find time to get in the studio with Ronson, Angry Ape reports. When asked if she could collaborate with anyone for her fifth album, she said: "I still would love to work with Mark Ronson. We've been trying to work together for a while but we'll figure it out one day." Here's Sabrina Washington performing an acoustic version of her song "OMG" at BBC's Swithc 5:19 show. 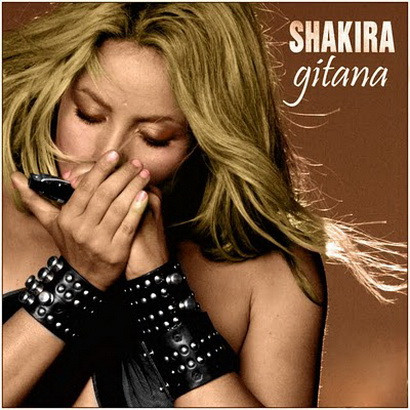 Here is Shakira's new single cover for "Gitana", the Spanish-language version of her current single "Gypsy". Rihanna checked in at GMTV yesterday to give a performance of her current single "Rude Boy". She gave a fantastic performance of the song, which is already #6 in the UK Charts. Take a look! Since November 2008, I've been working hard on my fifth album and am so excited for you to hear it. It is called "The Sellout." It's about all the mountains I've been climbing to be where I want to be in my personal and professional life. It is most certainly my best work and we are almost finished. The album is produced by Myself, Jared and Whitey, Caviar, Kaz James and Rodney Jerkins. It includes a duet with the legendary Bobby Brown and performances by the bet musicians I've ever known. Check in daily for updates on the progress of the record and songs from the record that you willl hear here first. Here is Shakira's new music video for "Gypsy", the third worldwide single from her third English album "She Wolf". Black Eyed Peas knock Ke$ha off the #1 spot. Ke$ha's reign on the US Charts is officially over - as of today. The "TiK ToK" singer has been at #1 for 9 weeks - since Christmas in fact! The Peas' new single "Imma Be" managed to kick off Ke$ha from the #1 spot, claiming their 3rd #1, after "Boom Boom Pow" and "I Gotta Feeling". Monica was on BET's 106 & Park this week to promote her latest single "Everything To Me". The R&B singer discusses the new single, whilst unveiling the music video, and talked about the death of Alexander McQueen also. Have a look! Here's the official soundtrack cover for Miley Cyrus' new film "The Last Song". The soundtrack is out on March 23rd with the film release following on March 30th. British Electronic star M.I.A. is putting the finishing touches to her 3rd studio album and via her official twitter account, she revealed the album is to be released in June. I THINK IM READY // JUNE 2010. Estelle is back with her new album, due out Summer! The first single is "Freak" and Estelle recently recorded the music video, and the above youtube video gives a behind the scenes glimpse of what to expect. The official video for "Freak" is set to premiere tomorrow - keep it locked on CrazyCoolMusic when it's out! Here's British Superstar Leona Lewis on GMTV performing her latest single "I Got You". The track is the second single from her sophomore album "Echo" and is out this week in the UK. Here is Ke$ha's fantastic new music video for latest single "Blah Blah Blah". The video is so fun and features the guys from 3OH!3. Check it out. Here's the official cover for Alizée's 4th studio album "Une enfant du siècle". Great cover! Monica's new video for "Everything To Me" has literally just premiered - and I have it hear for you now. Check it out - it's fantastic! Alex Gardner is a Scottish singer who is releasing his debut single "I'm Not Mad". The track is produced by Xenomania and is a fantastic pop song, check out the video above. Here's Justin Bieber's new music video for single "Baby", which features Ludacris. Here is the latest music video from Timbaland for his song "Carry Out", featuring Justin Timberlake. Already a smash hit in the US, the video will only further cement the song's success! Above is the official single cover for Wynter Gordon's official first single "Dirty Talk". The song, which is a fusion of dance and pop, is produced by David Guetta and is set to be a 2010 smash. Wynter has written songs for Danity Kane, Jennifer Lopez and has appeared on tracks by David Guetta and Flo Rida's "Sugar". Here is the official album cover for Koda Kumi's latest remix album "Driving Hit's 2". The album is out the end of March! "Upside Down" is the fourth single from Paloma Faith's debut album "Do You Want The Truth or Something Beautiful?". You can see the music video above! Here's the brand new video from Cascada for their new single "Pyromania". Check it out! Mariah's new album will be sold in Target only. Mariah Carey's new album, the remix album "Angels Advocate", will only be sold in Target stores in the US and online at iTunes. Mariah has completed her 13th studio album, Angels Advocate, a collection of newly remixed duets with some of her favorite artists, performing Mariah's favorite songs from her #1 R&B album Memoirs Of An Imperfect Angel (released September 2009). Angels Advocate, on Island Records, will be available March 30 exclusively at Target stores nationwide, iTunes.com/target and Target.com. Here's Avril Lavigne's new music video for Alice In Wonderland soundtrack single "Alice (Underground)". Check it out! 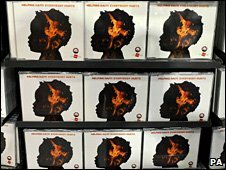 Alicia Keys is ruling the UK Charts as her album "The Element Of Freedom" stays put at #1 for a second week, and after a total of 9 weeks in the chart. Meanwhile her single "Empire State Of Mind Part II" rises to #4 this week. Helping Haiti's song goes to #1! Helping Haiti's rendition of 'Everybody Hurts' has gone straight in at number one in the UK singles chart. 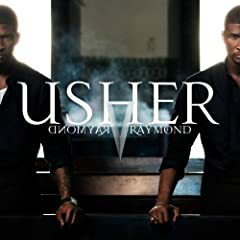 The single, which was arranged by Simon Cowell, features 21 artists including Kylie Minogue, Cheryl Cole, Leona Lewis, Robbie Williams, Mariah Carey, Rod Stewart and Susan Boyle. It recorded the biggest-first week sales of any single since 2000. The money raised from sales of the track will be split between The Sun's Helping Haiti campaign and the Disasters Emergency Committee. Leona Lewis has just premiered the music video for her new single "I Got You". Take a look! Here is the official music video for the We Are The World 25 campaign to help Haiti. This is a wonderful song and all proceeds go to Haiti relief, which is great cause to be involved with. Have a look at the star-studded group of singers joining together to re-create the original We Are The World from 1985, written by Michael Jackson and Lionel Richie. Check out the new single cover from Janelle Monae for her new track "Tightrope", which features Big Boi. Check out this video shot from Monica's new music video "Everything To Me" - she looks incredible! Toni Braxton performed her latest single "Make My Heart" on the Wendy Williams Show yesterday. It's a great song and a good performance! Ke$ha has broken another record in the US, for her smash hit #1 "TiK ToK". Here's Rihanna's new music video for latest single "Rude Boy". Check out the Melina directed video above! Check out this 15 second clip of Rihanna's new video for "Rude Boy". HOT! Here is the BEAUTIFUL album cover for Monica's new album Still Standing. Release date: March 23rd. Check out this mini preview of the Black Eyed Peas new video for "Rock That Body". Here's the new Pixie Lott video for her 4th single "Gravity". Check it out :) ! Here's Sabrina Washington's new music video for "OMG" from her debut album "Strip". Here's a performance of "Shakin' It 4 Daddy" performed by Robin Thicke and Nicki Minaj on last night's David Letterman Show. Amazing performance - one of the best I've seen this year - check it out! 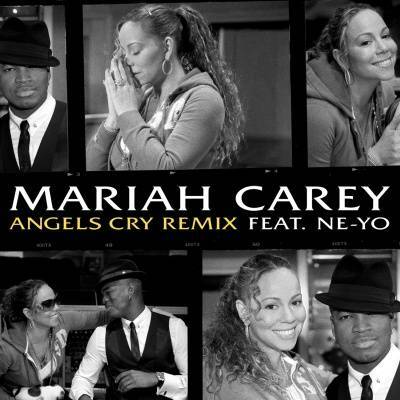 Here's the official single cover for Mariah Carey's new single "Angels Cry Remix", which features Ne-Yo. Here's the new video from Natalie Bassingthwaighte for "Love Like This", the 5th single from her "1000 Stars" album. Here's Livvi Franc's new video for her second single "Automatik". Here's the latest music from Carrie Underwood for her single "Temporary Home", which is the second single from Carrie's 3rd album "Play On". Check out Justin Bieber's official album cover for latest record "My World 2.o" which follows on from 2009's "My World". Here's the official single cover for Mariah Carey's new single "Up Out My Face", which features Nicki Minaj.